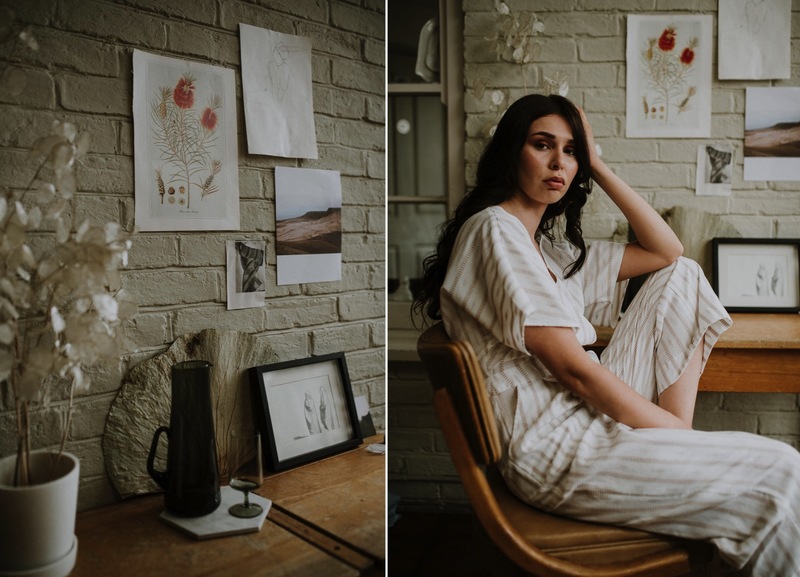 As another British winter draws in and greets us not with nice festive weather like like snow and brisk mornings, but instead howling winds, drizzle and grey skies… I thought I’d share with you some highlights from this warm and dreamy shoot that took place earlier this summer. 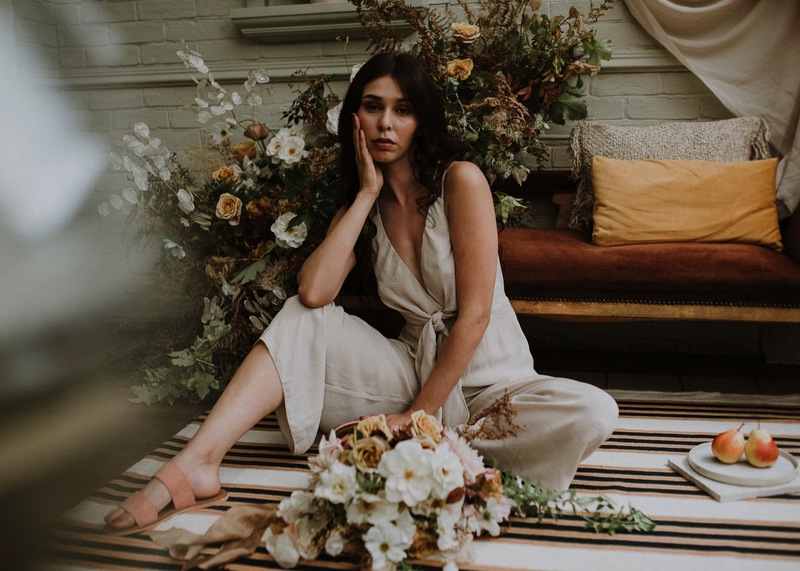 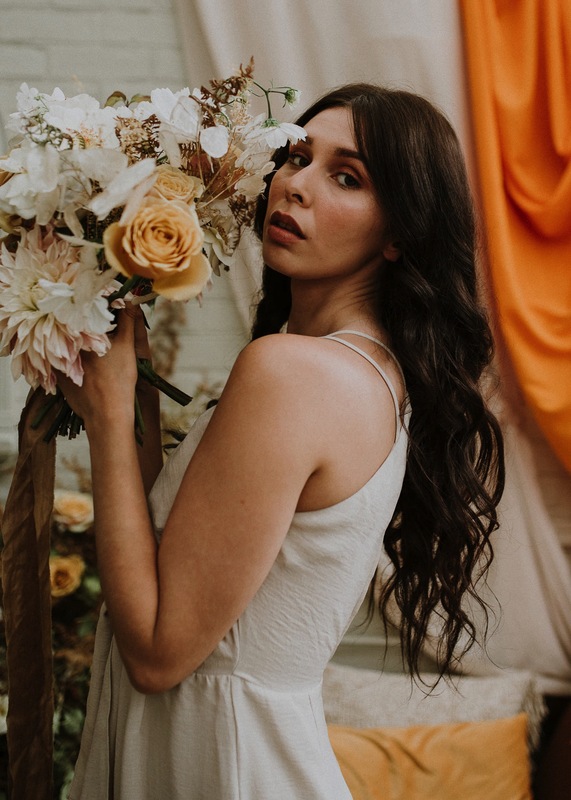 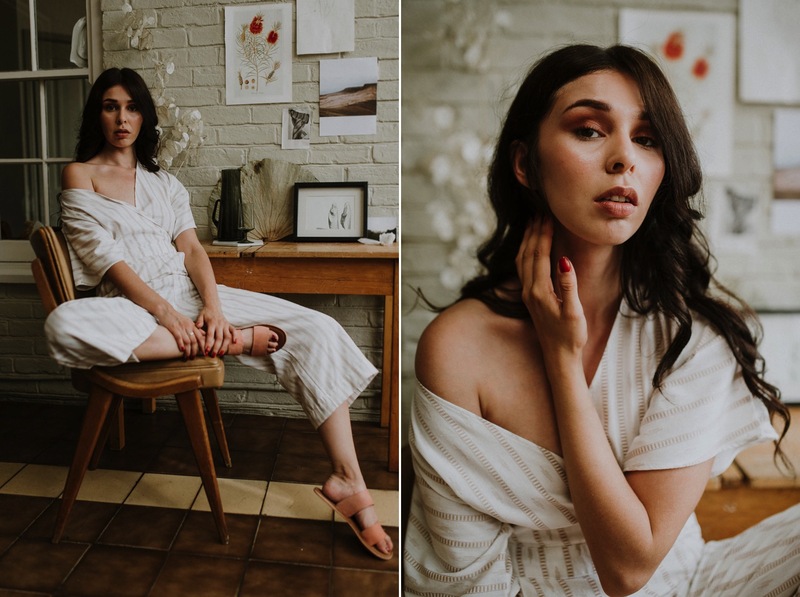 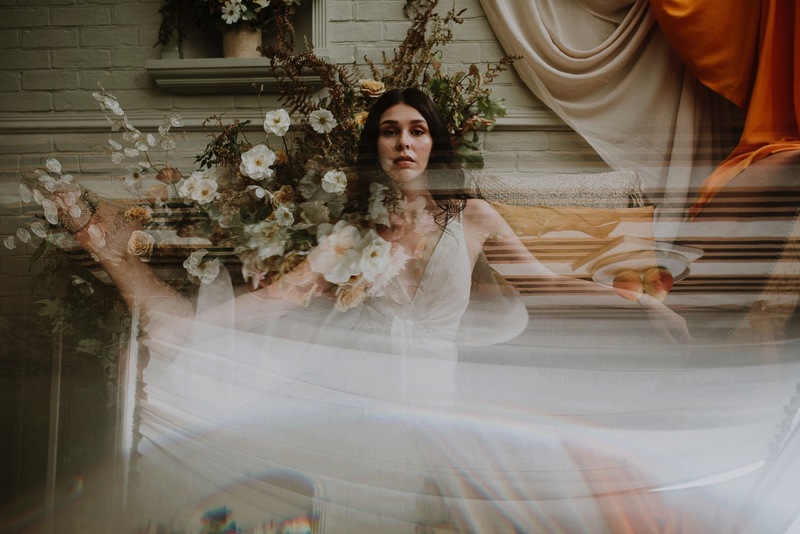 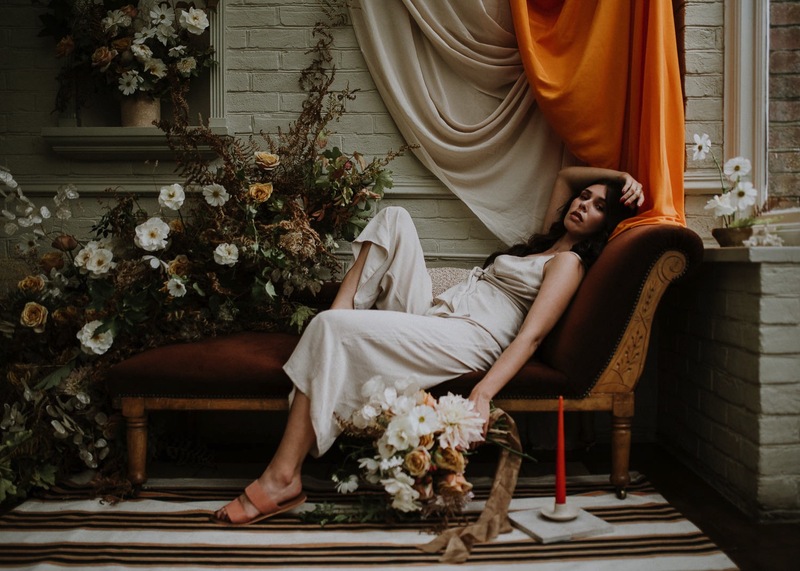 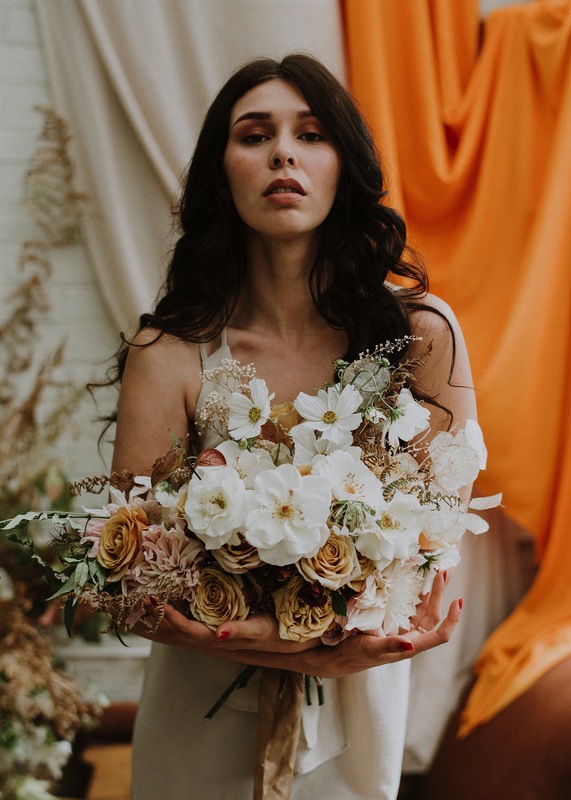 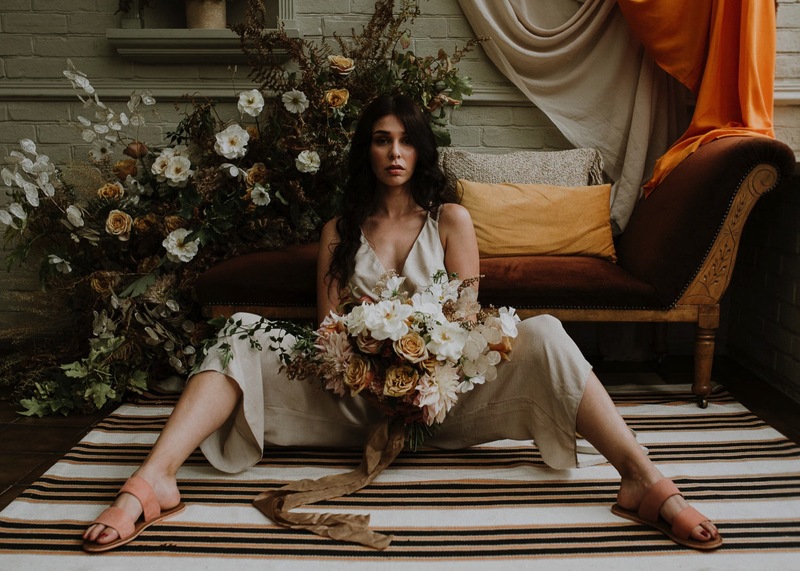 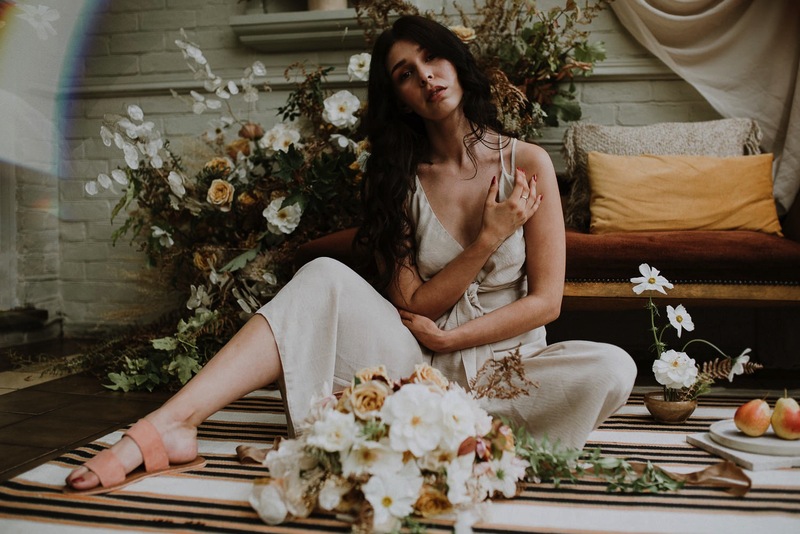 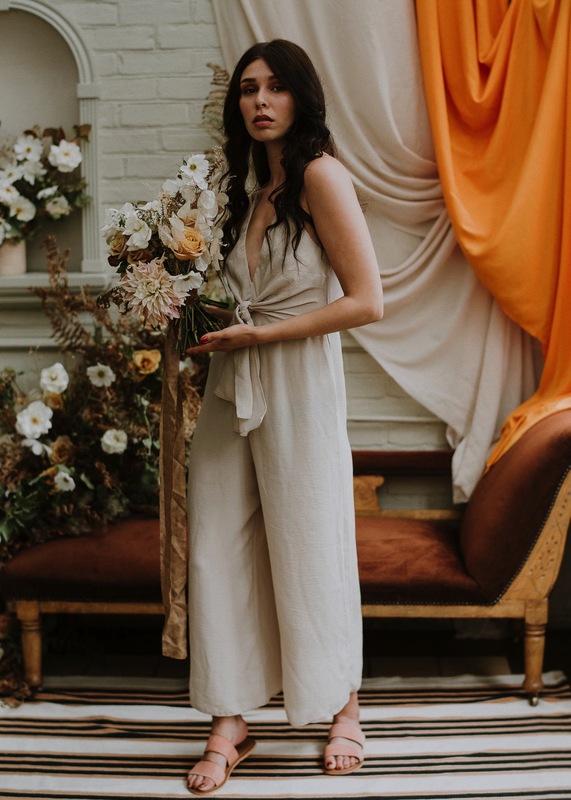 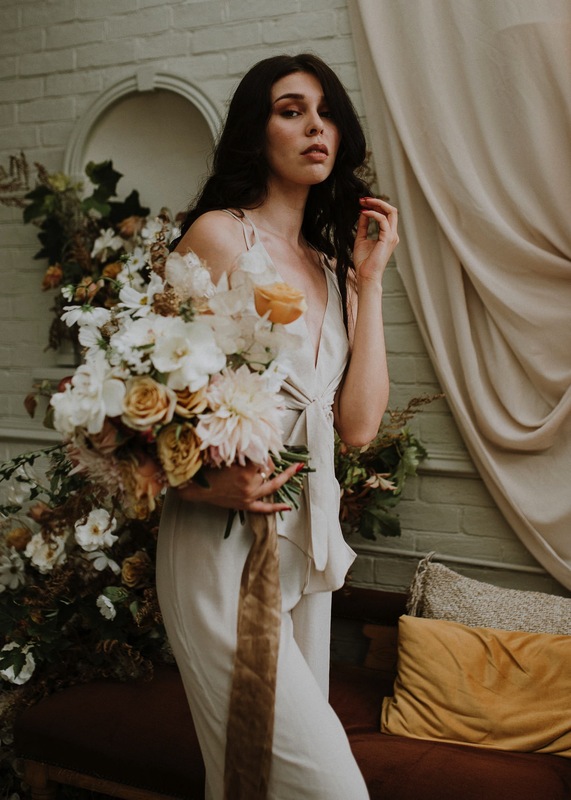 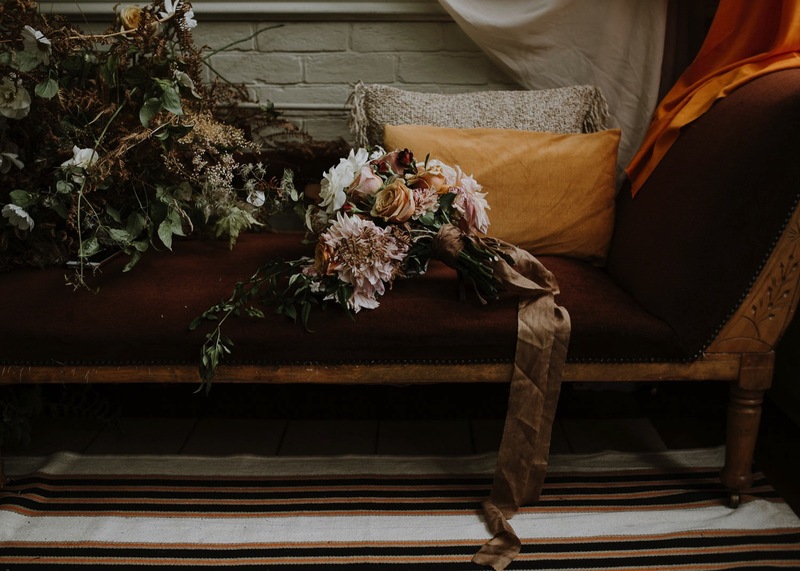 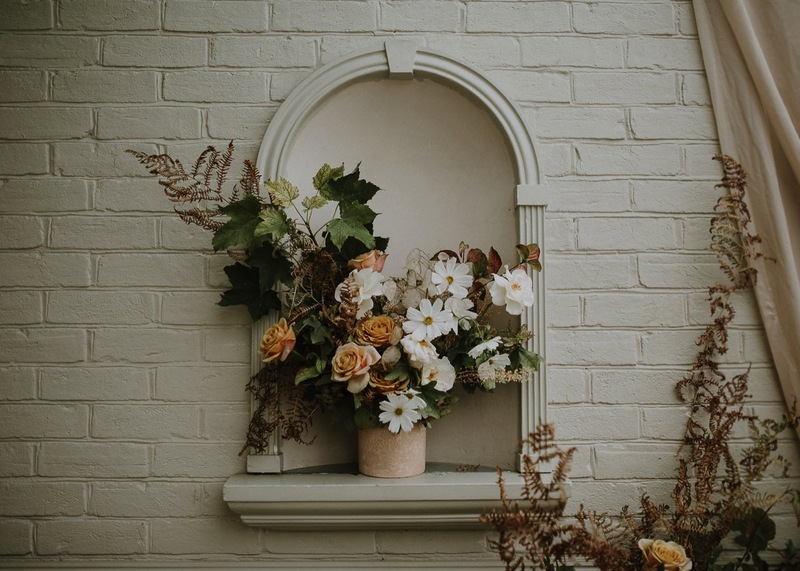 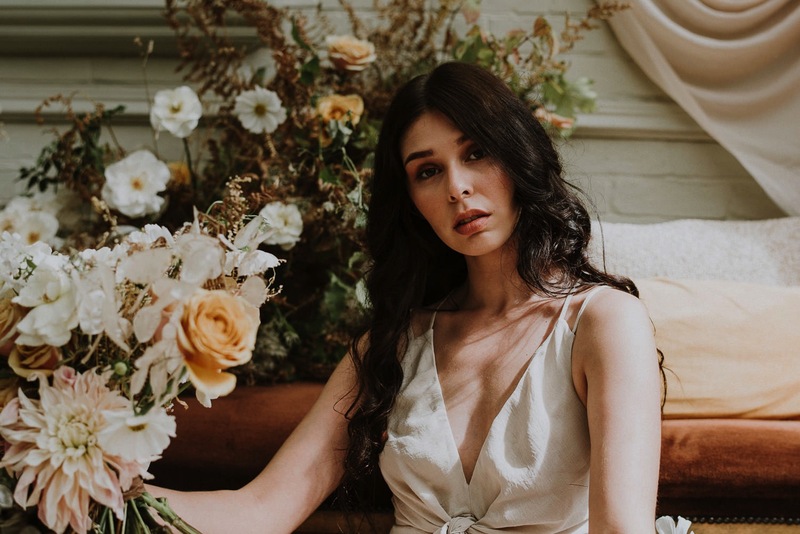 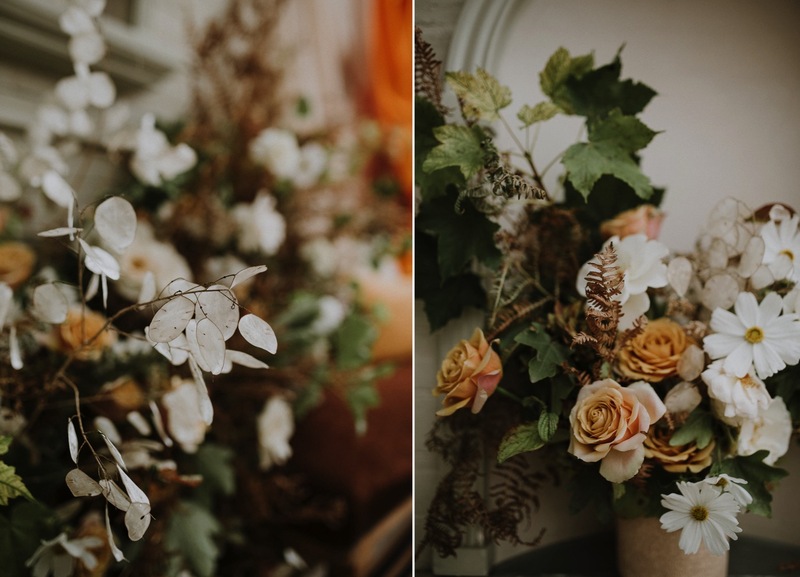 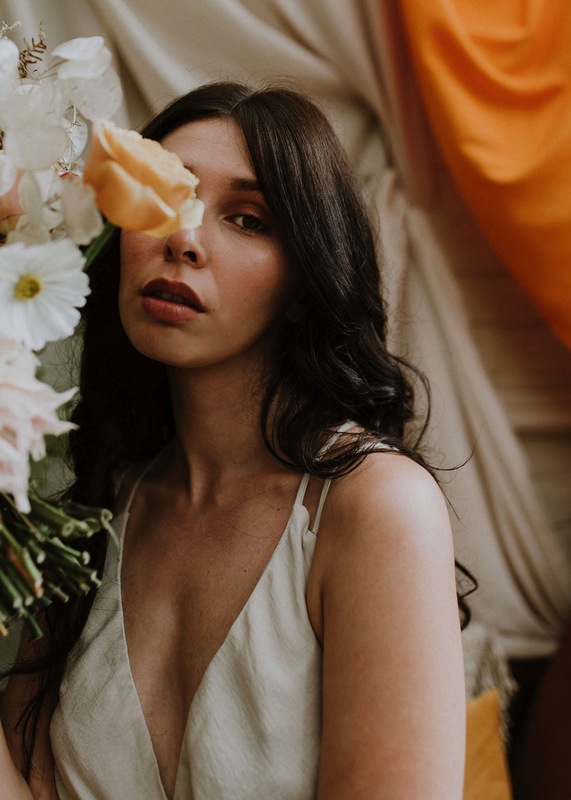 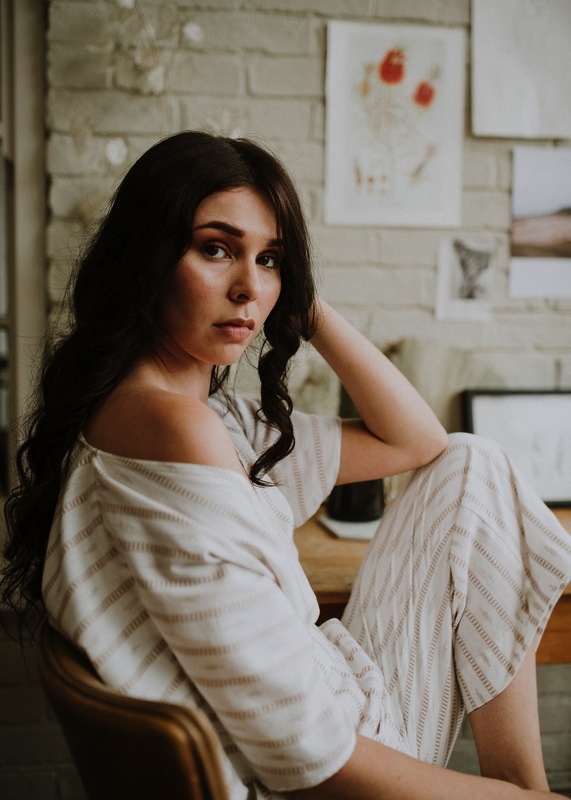 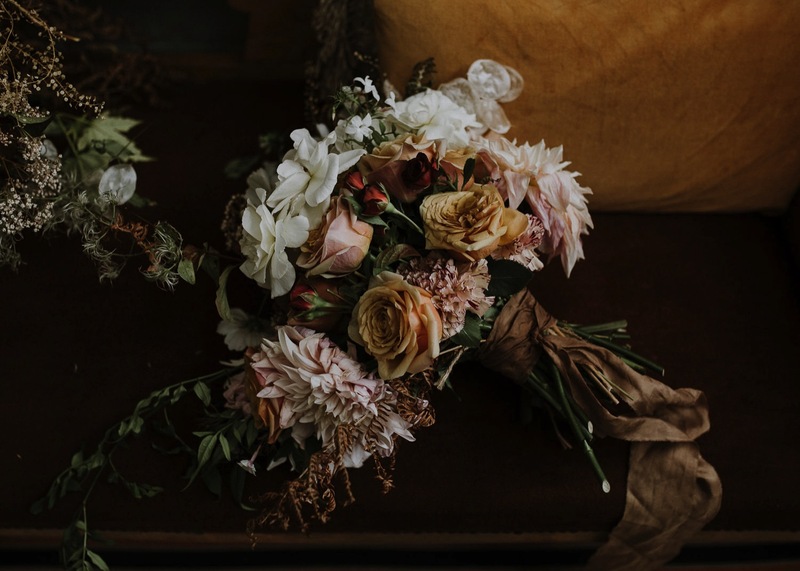 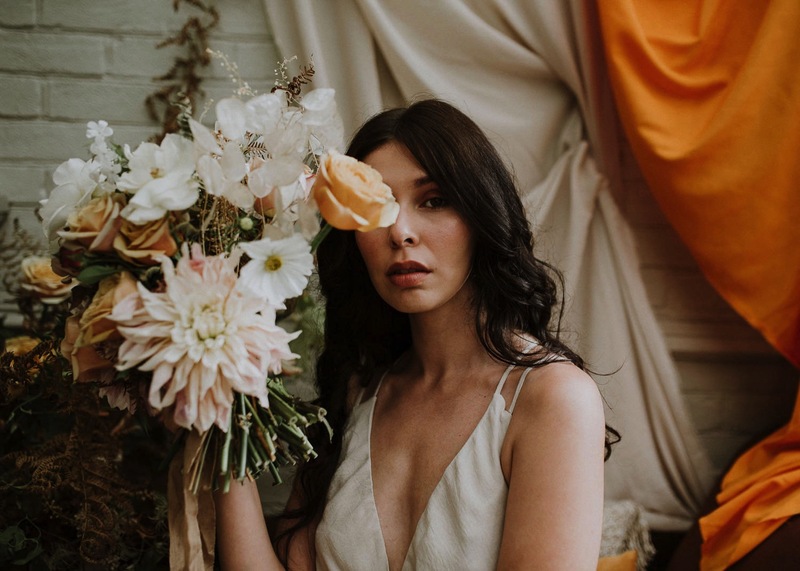 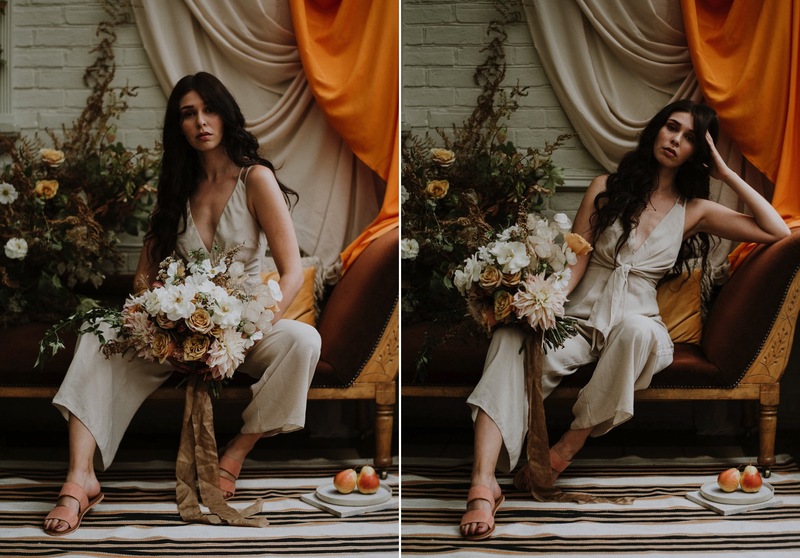 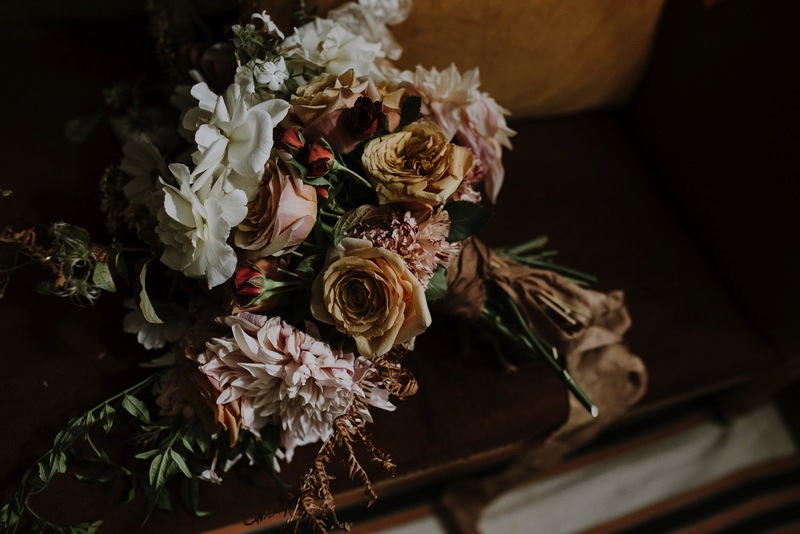 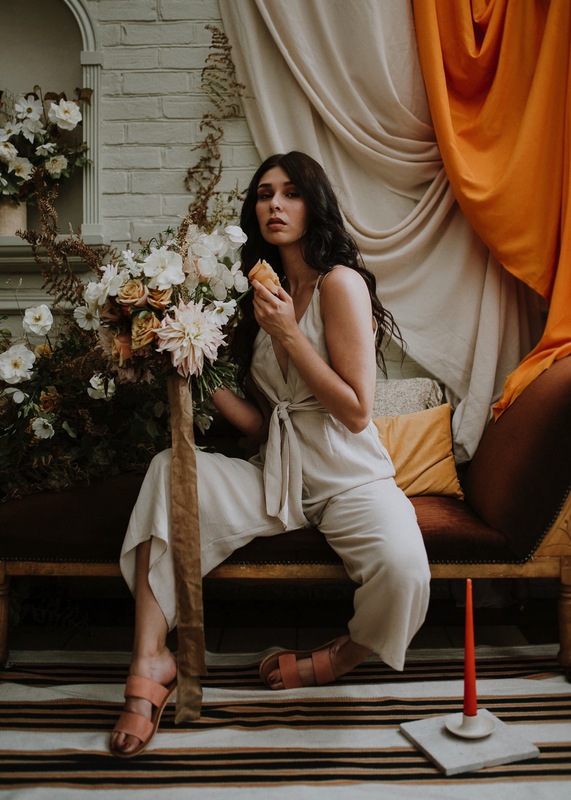 I was contacted by the wonderful Liz from Flower & Fern floral design studio and prop stylist/set dresser Antonia with a mood board that instantly made me swoon. 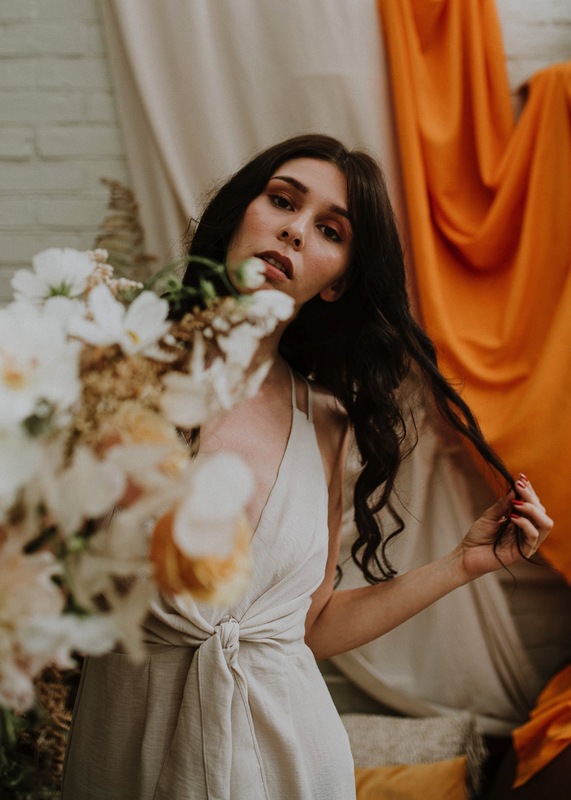 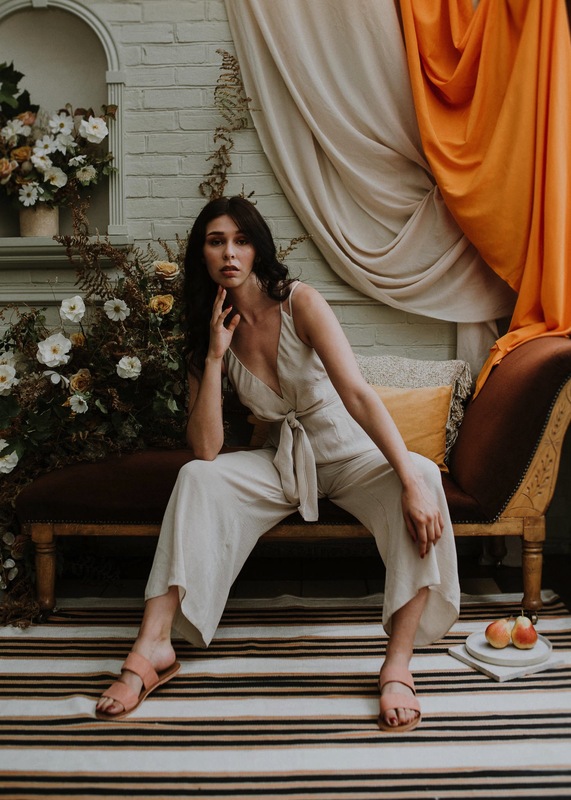 Inspired by the late afternoon Cali sun and the hazy hours spent lounging at home, the editorial was a little love letter to understated opulence. 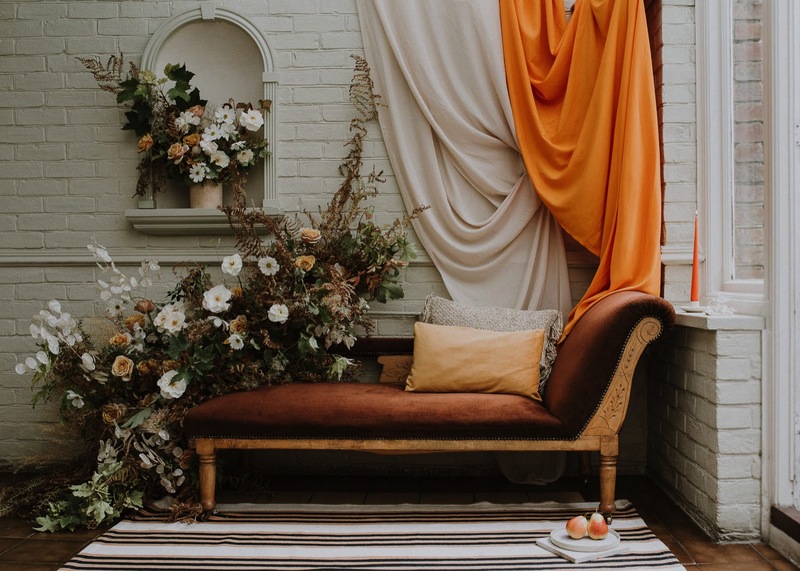 Sandy neutrals and caramel tones juxtapose with contemporary bright oranges, soft Renaissance textiles and sentimental trinkets. 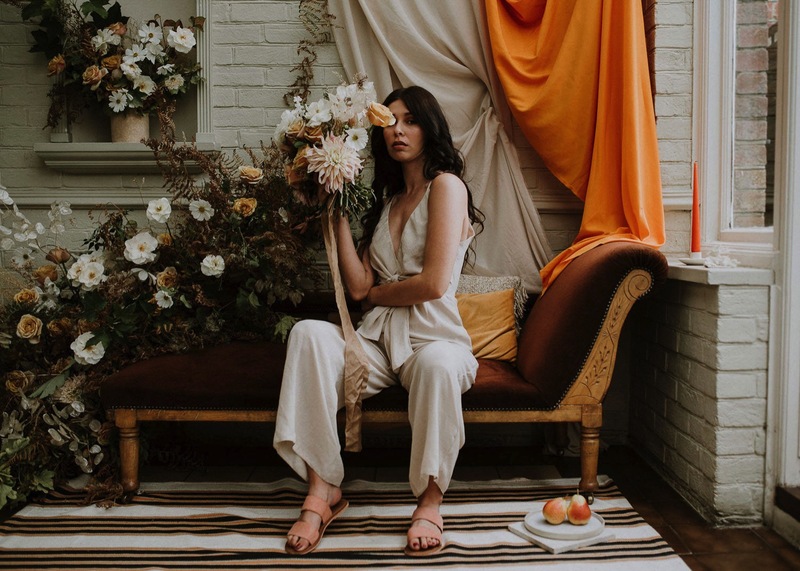 The golden mustard roses were a personal favourite of mine, and Antonia’s vintage chaise would have happily come home with me if only I had the space in my tiny Brighton flat! 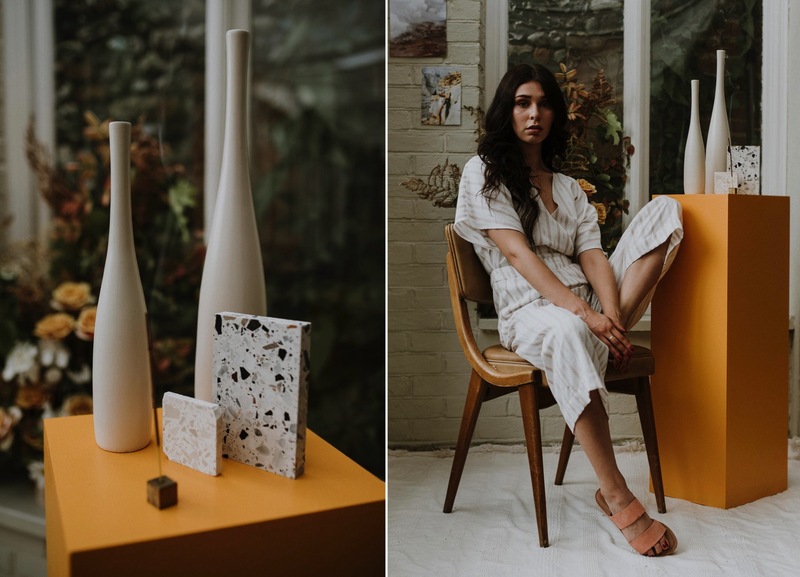 For all supplier details please check the deets at the bottom of the post.